Reading Festival is joining Glastonbury in achieving the gold standard from the leading disability charity in the UK. Attitude is Everything campaigns to improve deaf and disabled people's access to live music. 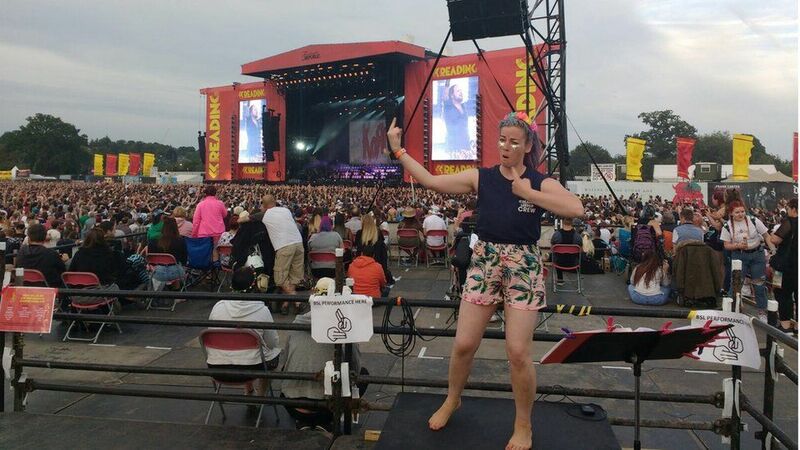 It says Reading Festival has shown commitment to its disabled customers for the past five years and keeps moving forward with disability access. "Attitude is Everything started at Reading Festival," the charity's chief executive Suzanne Bull tells Newsbeat. "I came when I was 17 years old and there was literally nothing. "Then from 1995, there was the first viewing platform on the main stage but not many people on it. "Since then I just kept asking people what they wanted at festivals and we just really built up the services from there."